After sewing the neo pixel on the cardboard, I checked with Strand Test sketch to see the LED lighting up, and it worked. 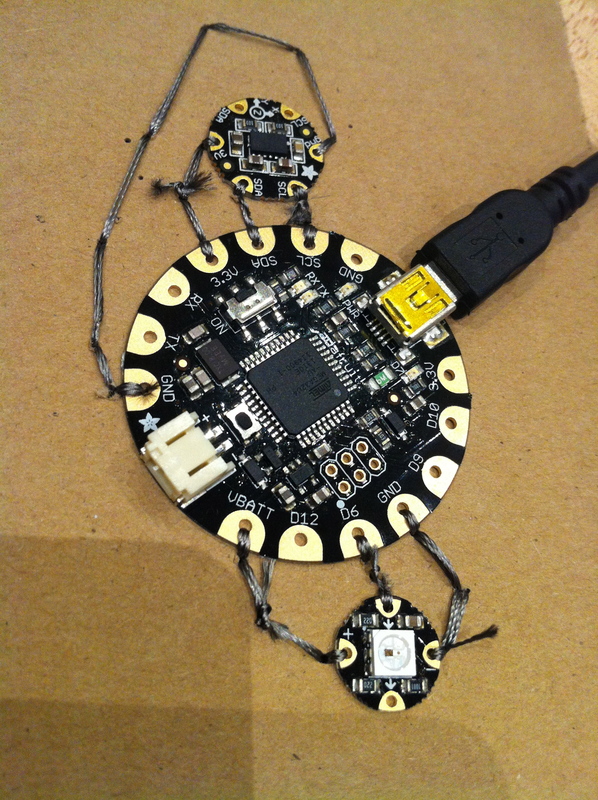 But when I uploaded the sketch from adafruit, it just wouldn’t light up. When I shake it, the serial monitor will show “Twinkile!” which I assume it is signaling the LED to sparkle, but nothing happens. I tried with a different LED, which still seems to have the same problem. I’ll play around with it more, and see if I can get it to work. Next Next post: Stack of pancakes or banana?